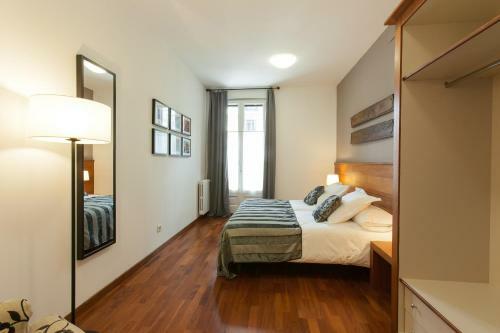 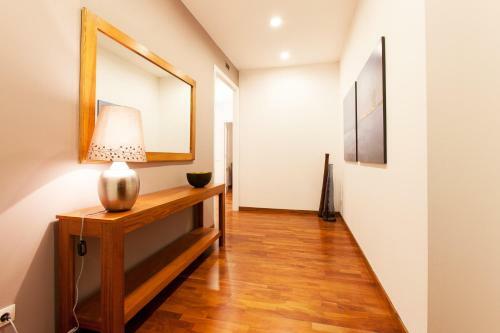 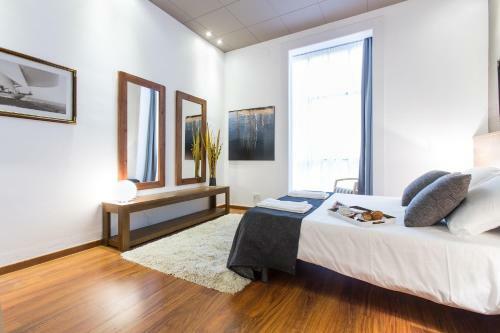 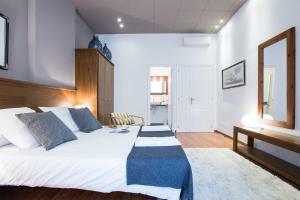 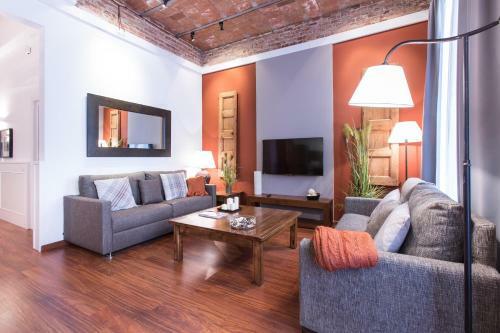 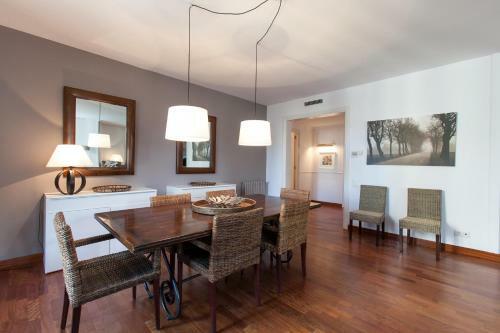 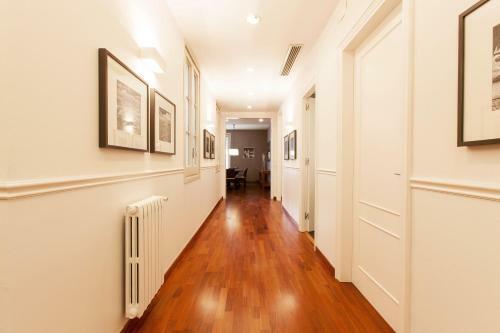 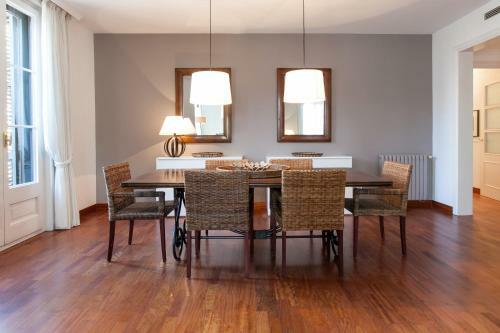 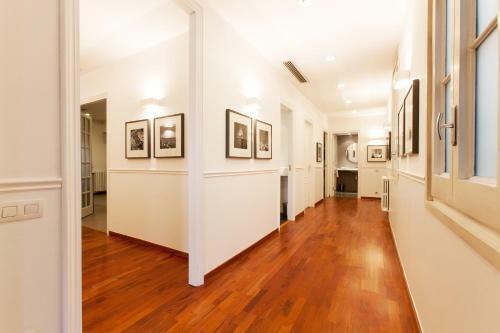 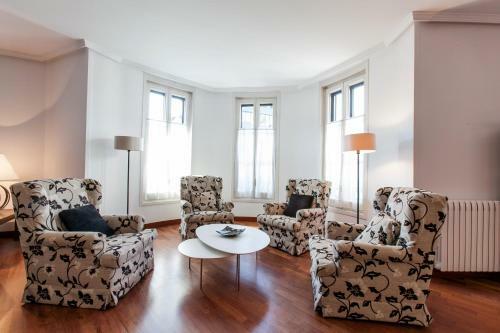 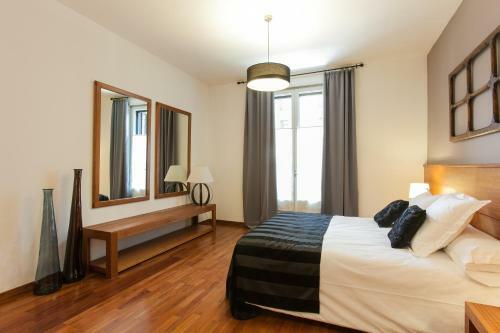 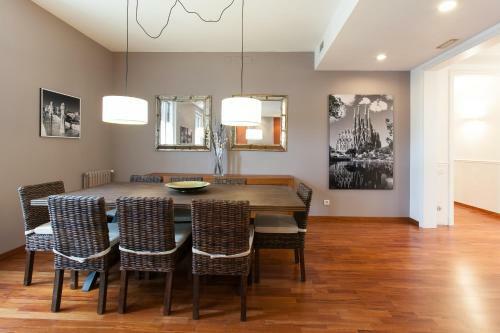 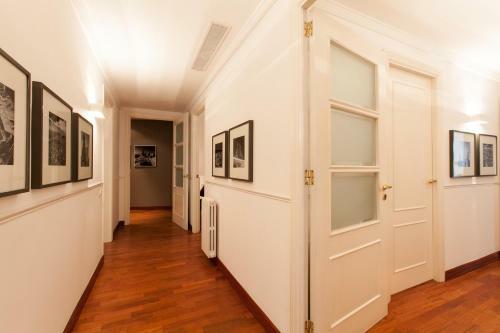 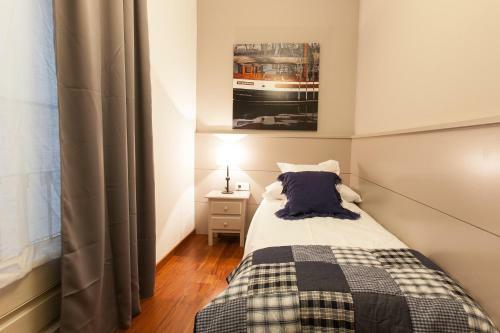 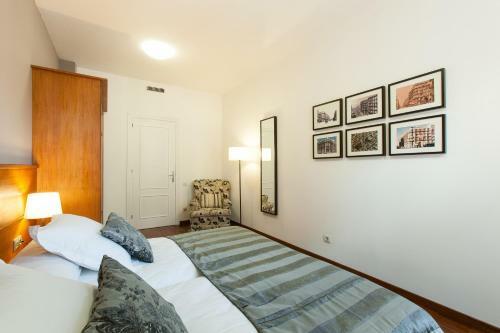 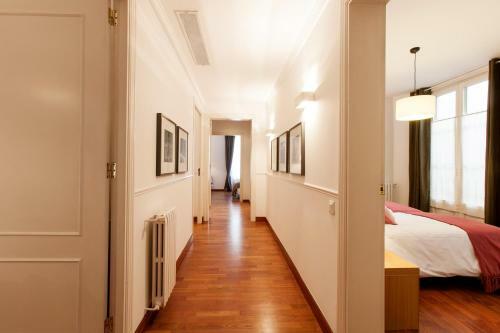 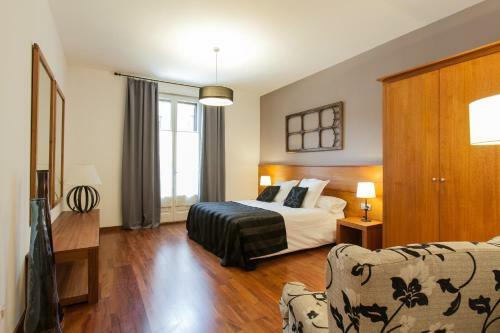 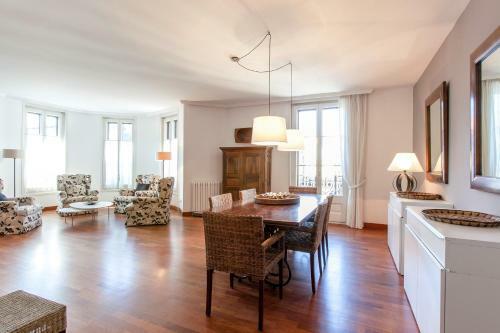 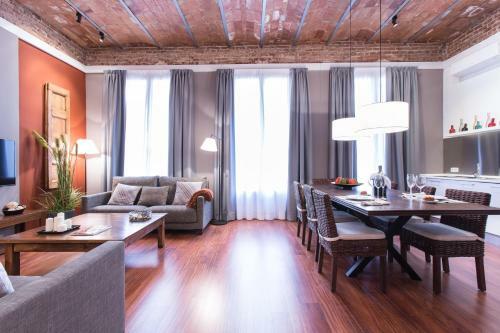 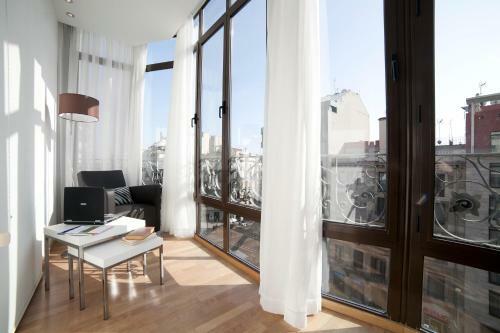 Apartamentos Ramblas – Plaça Catalunya are set in a typical 19th-century building with large windows and elegant wooden floors. 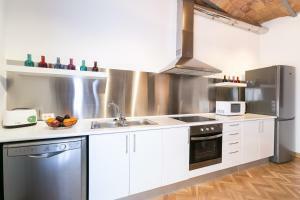 Kitchens include an oven and ceramic hob, a dishwasher and a washer-dryer. 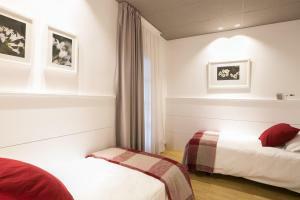 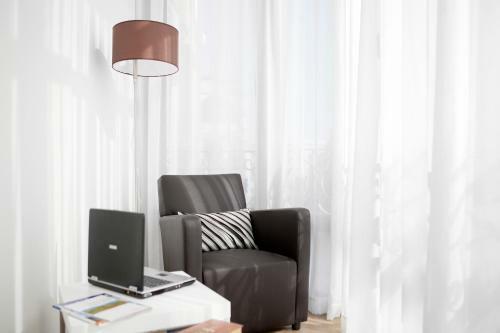 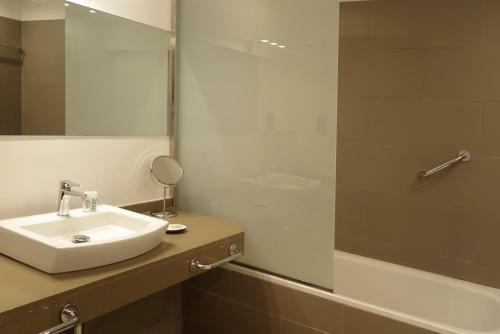 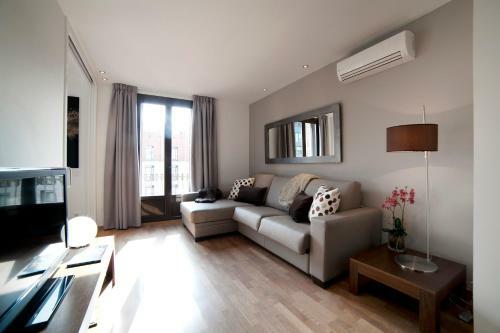 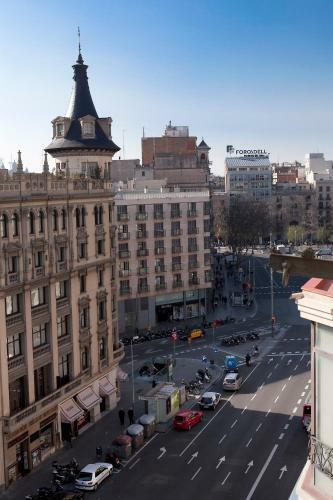 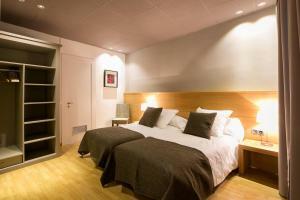 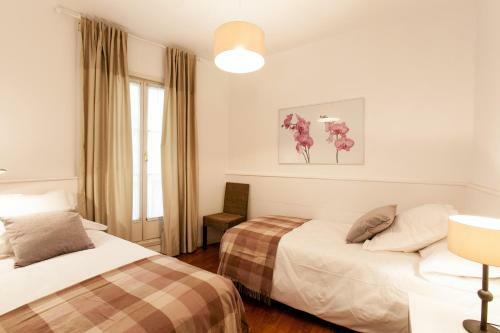 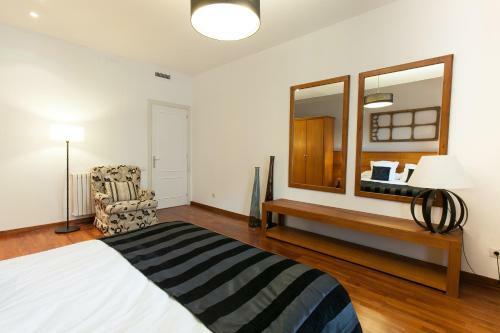 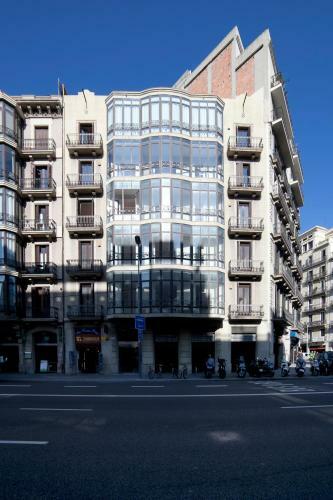 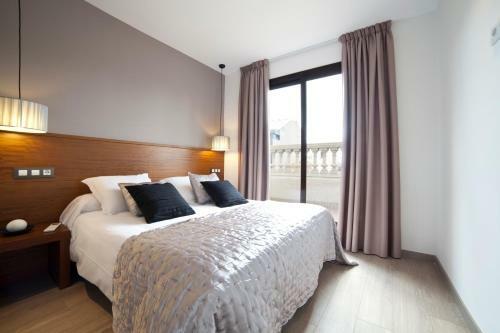 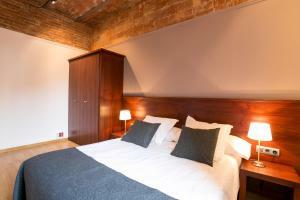 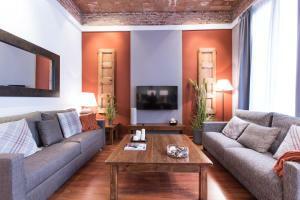 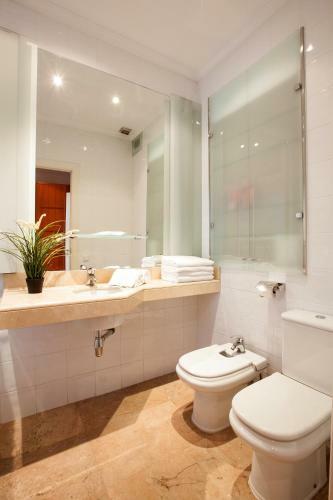 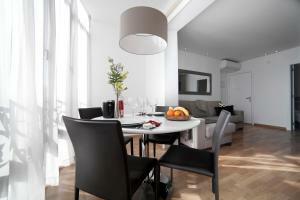 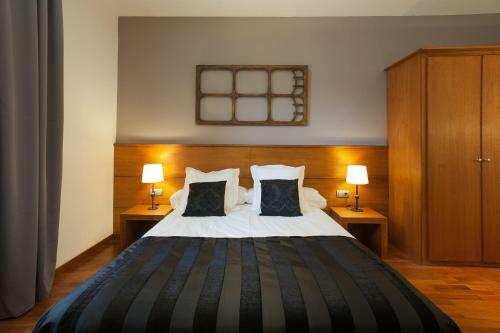 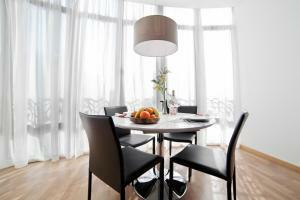 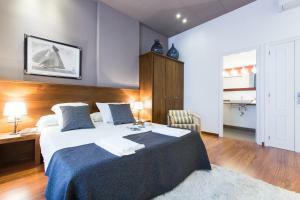 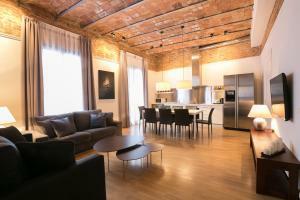 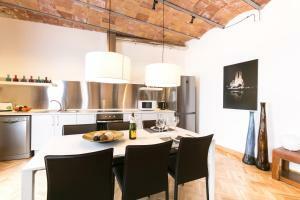 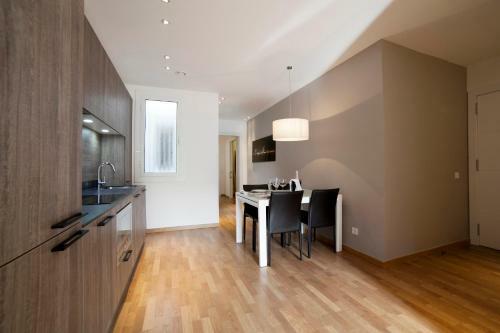 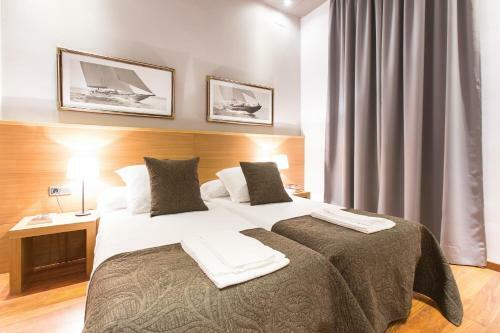 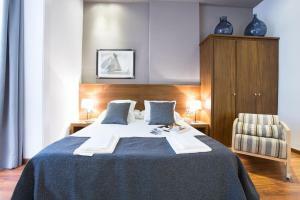 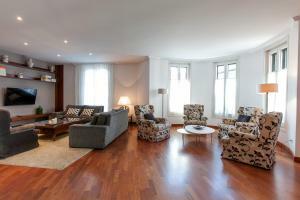 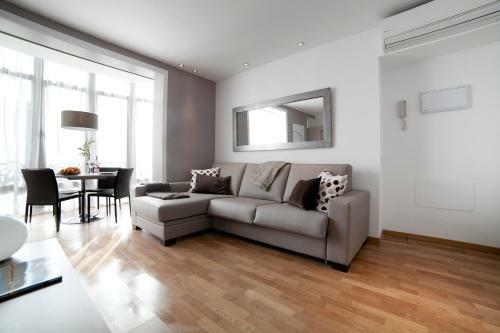 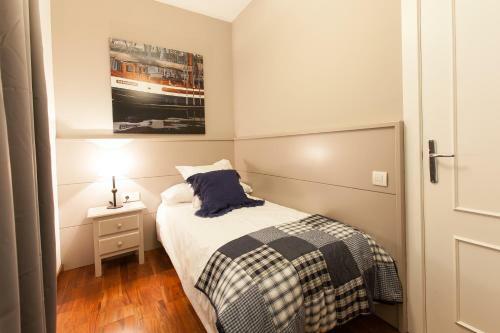 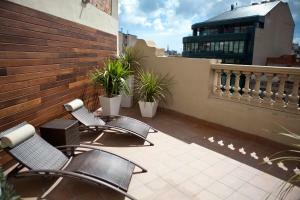 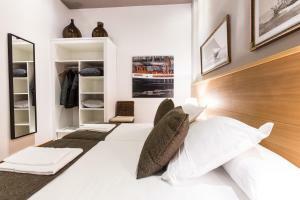 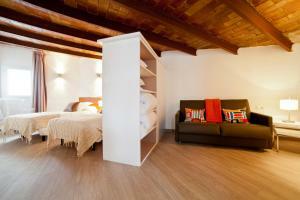 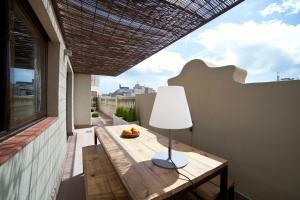 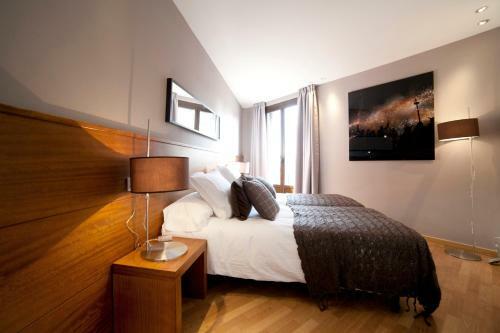 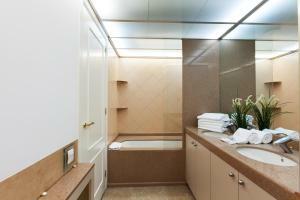 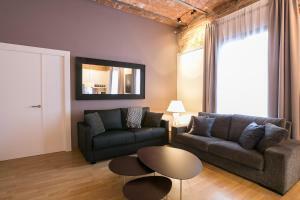 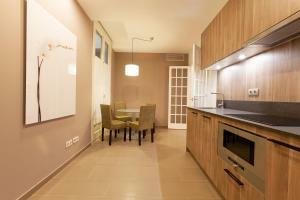 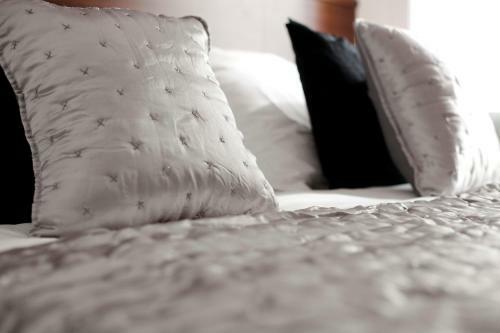 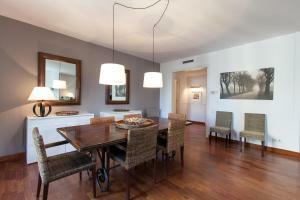 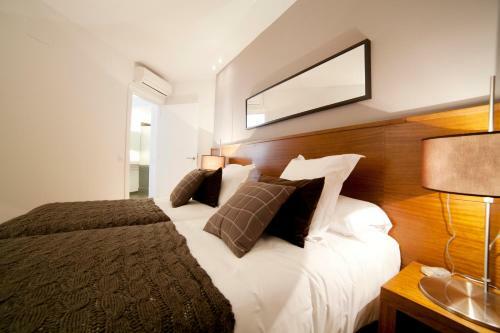 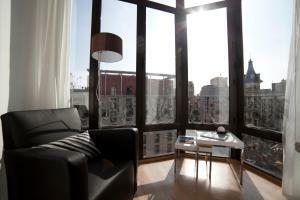 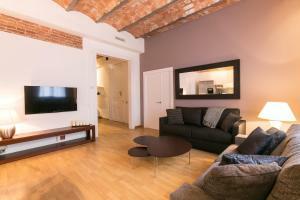 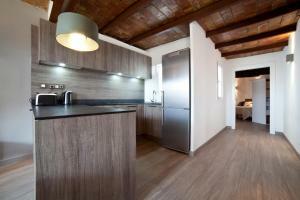 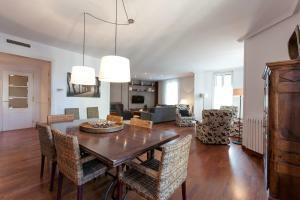 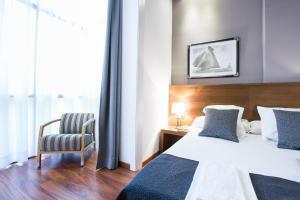 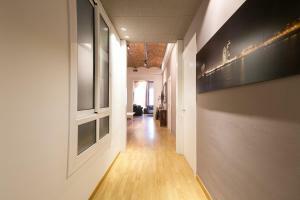 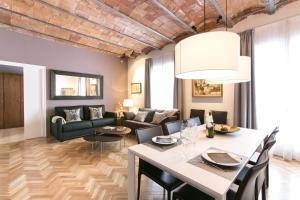 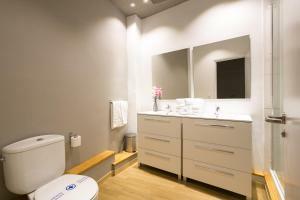 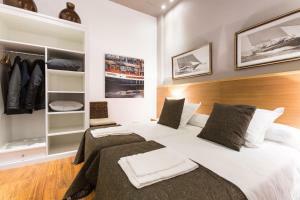 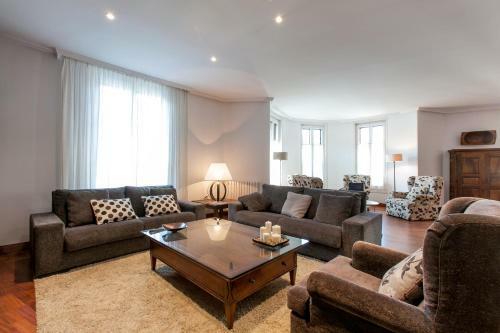 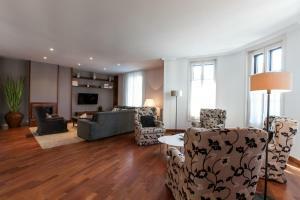 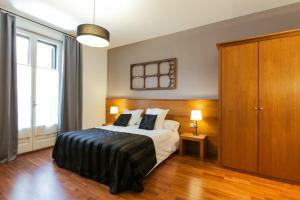 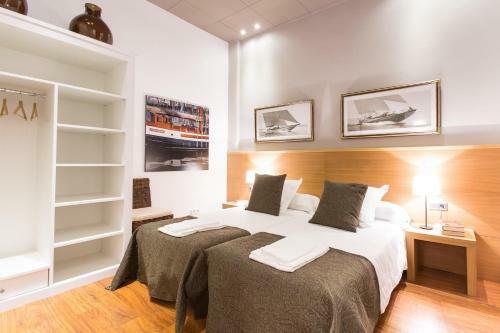 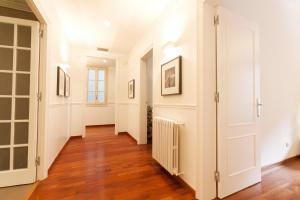 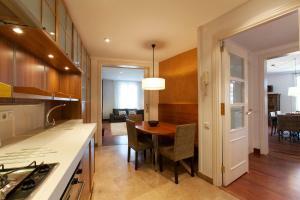 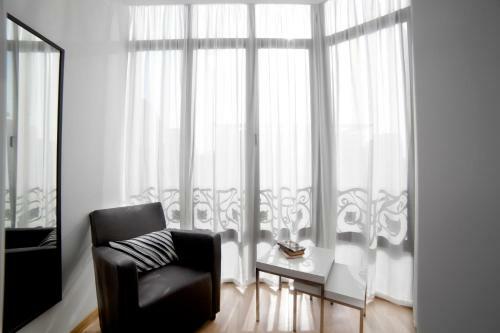 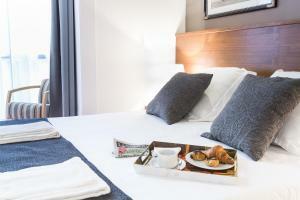 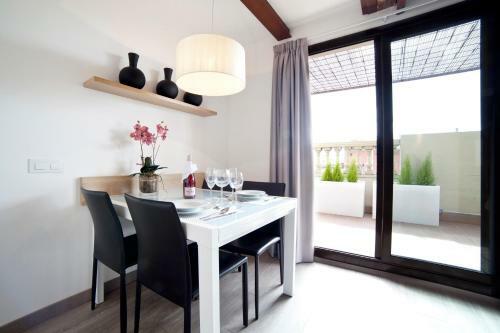 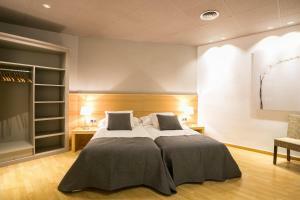 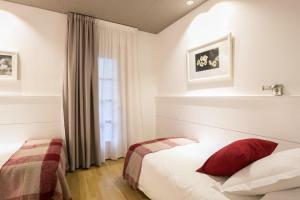 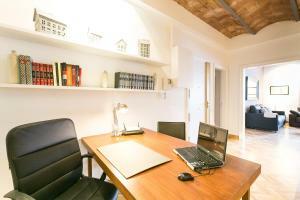 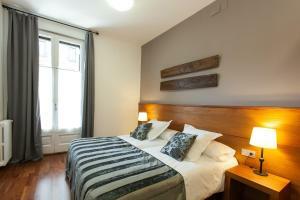 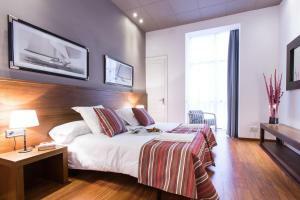 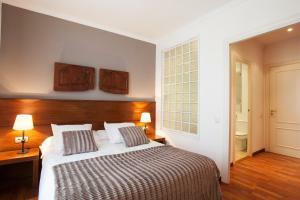 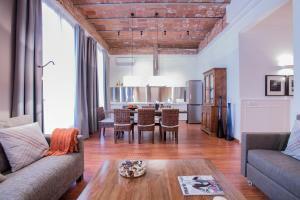 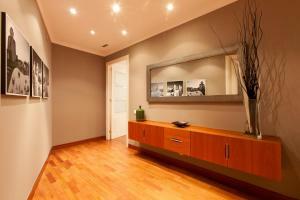 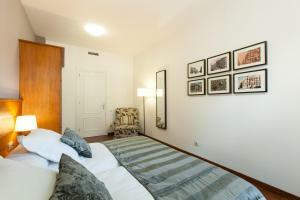 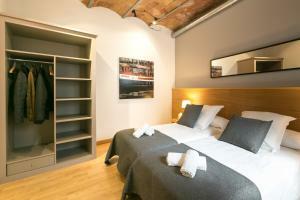 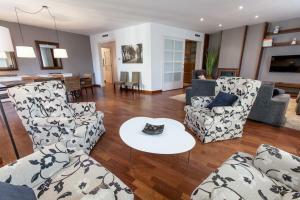 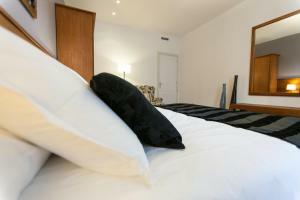 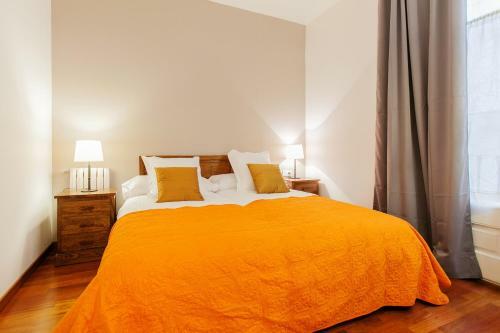 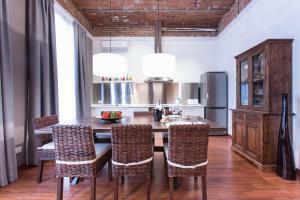 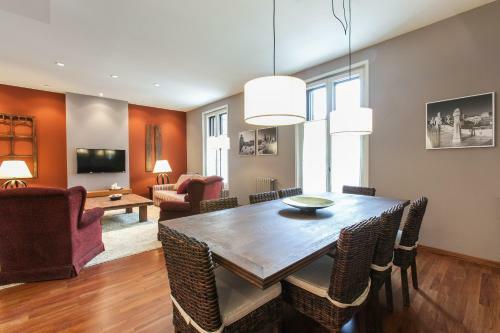 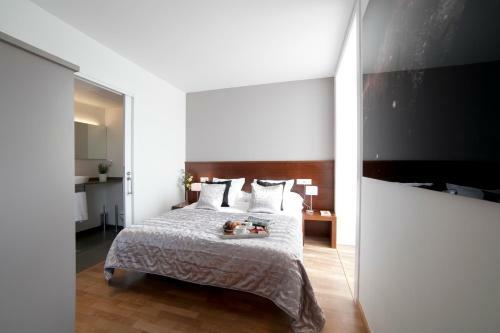 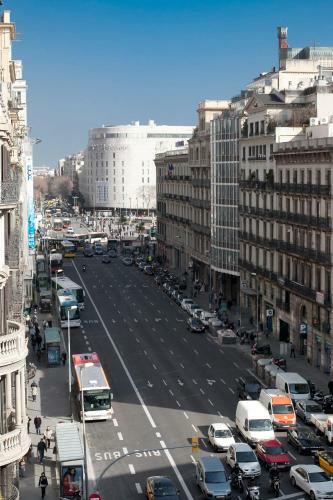 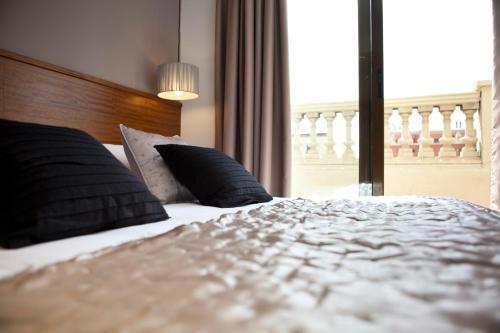 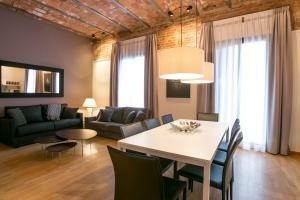 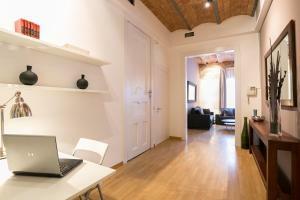 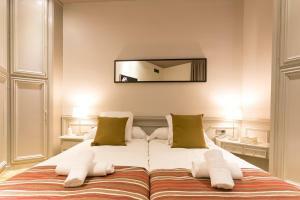 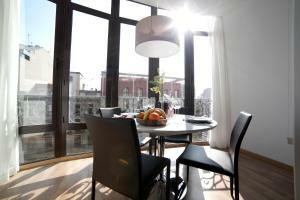 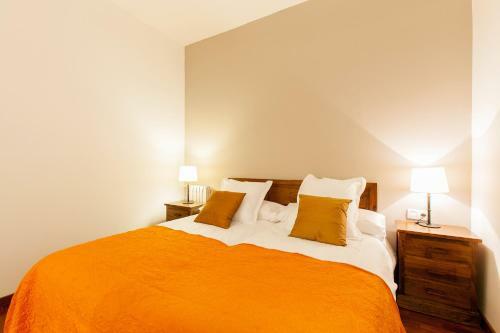 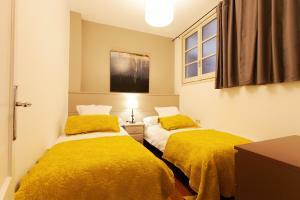 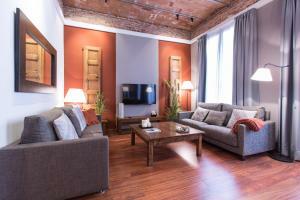 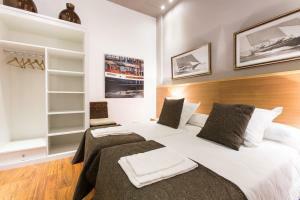 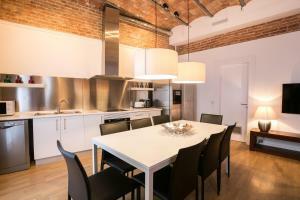 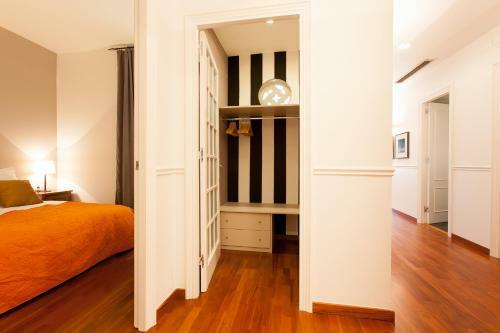 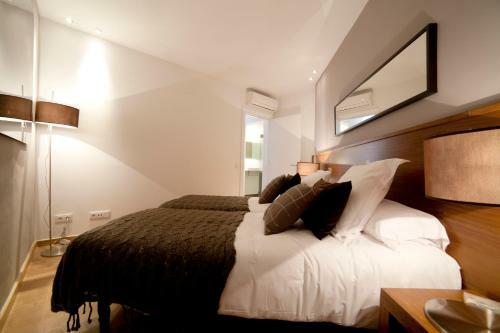 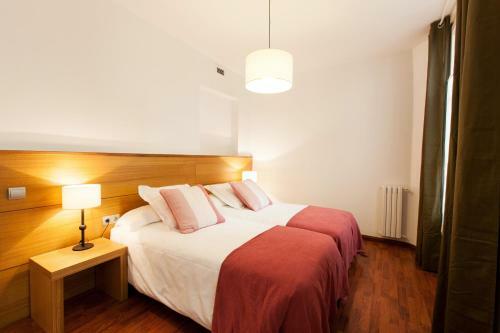 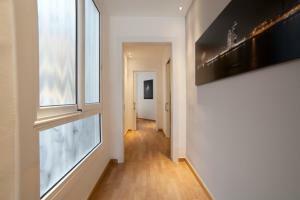 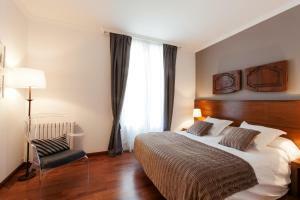 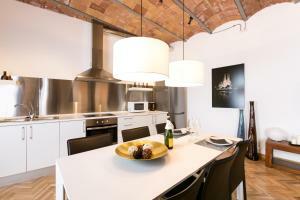 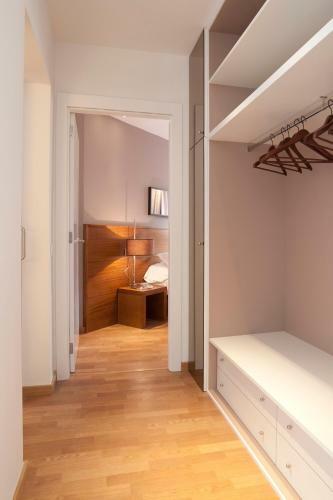 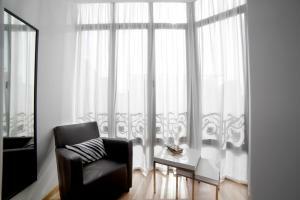 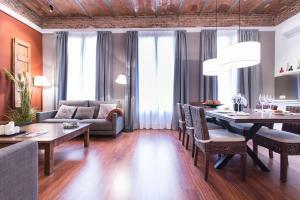 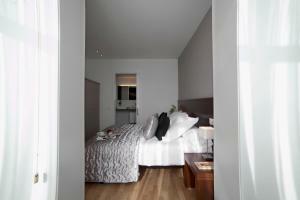 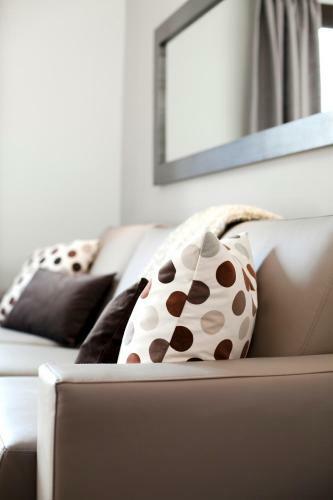 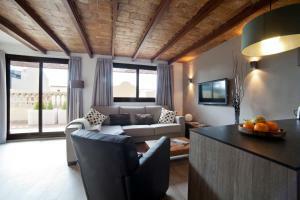 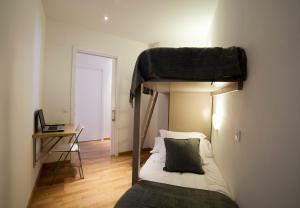 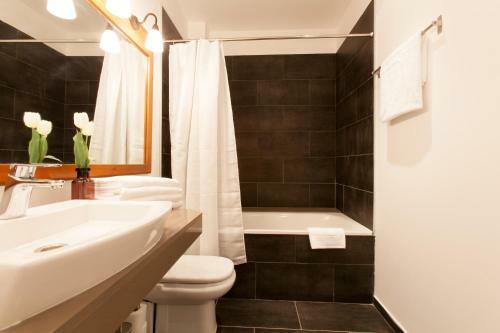 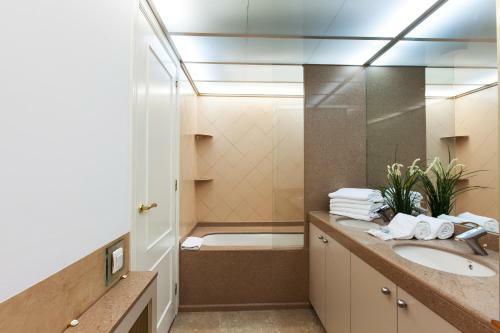 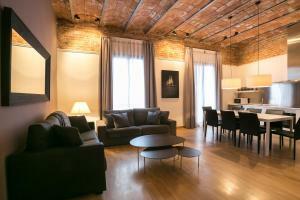 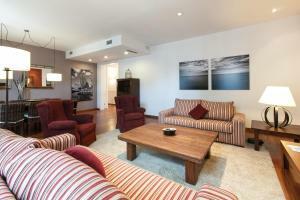 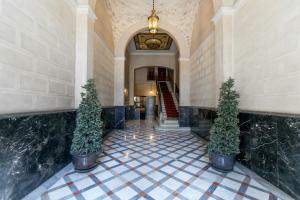 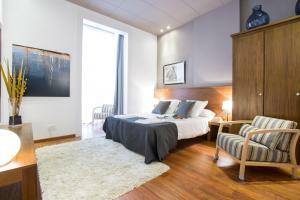 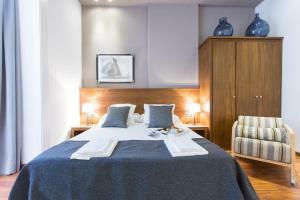 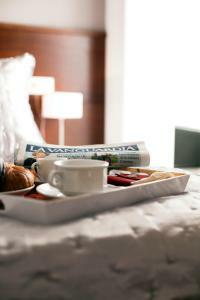 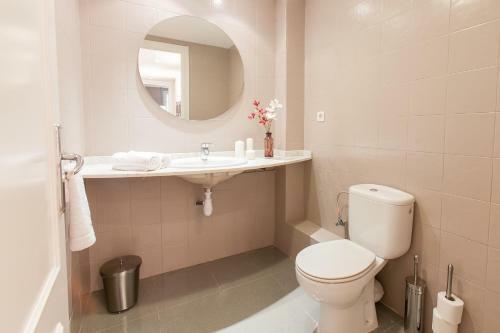 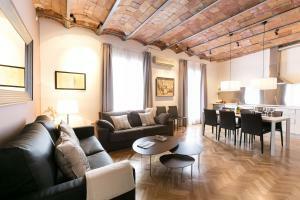 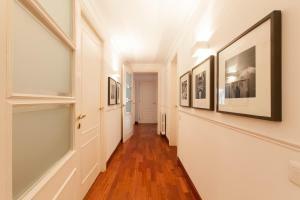 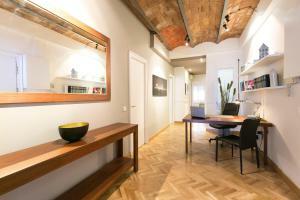 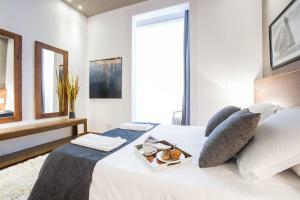 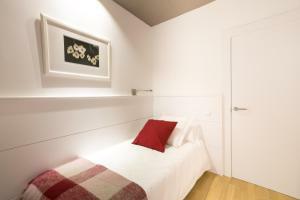 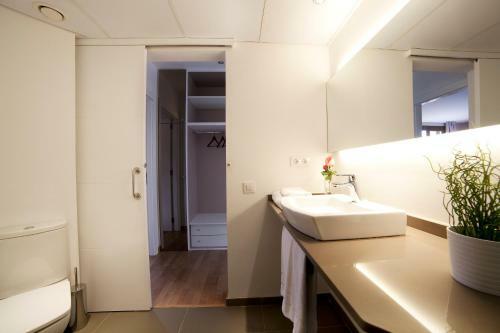 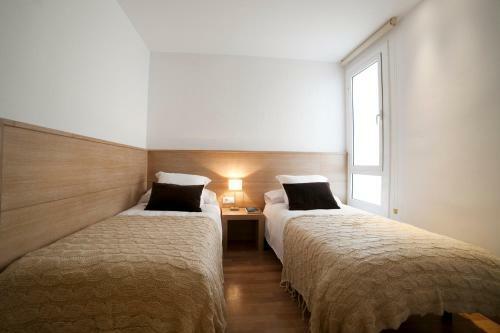 The Ramblas – Plaça Catalunya Apartments are just 350 metres from the famous Las Ramblas. 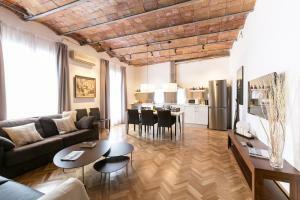 The Gothic Quarter and Gaudí’s Casa Batlló are both within a 10-minute walk of the apartments. 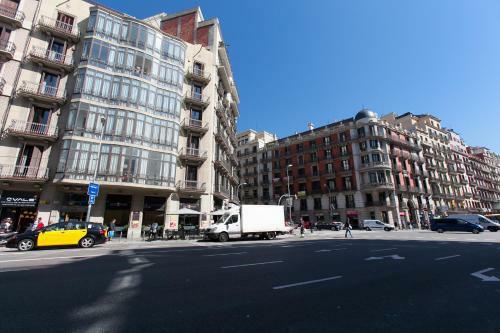 You can find a wide range of shops, bars and restaurants in the surrounding streets. 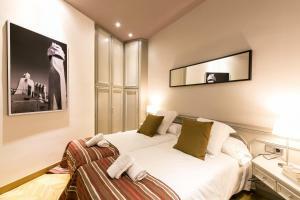 Plaça Catalunya Station is 200 metres away, while airport buses and tour buses stop 400 metres away. 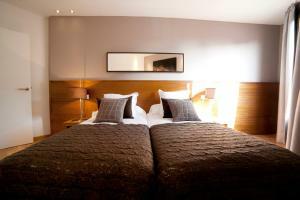 Please note that these extra charges must be paid in cash on arrival. 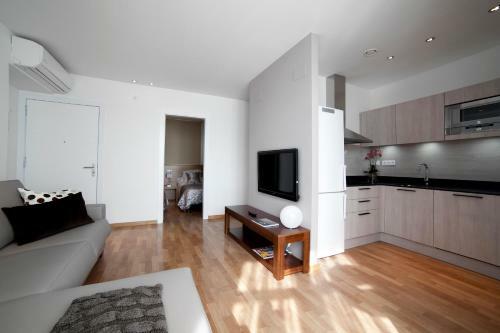 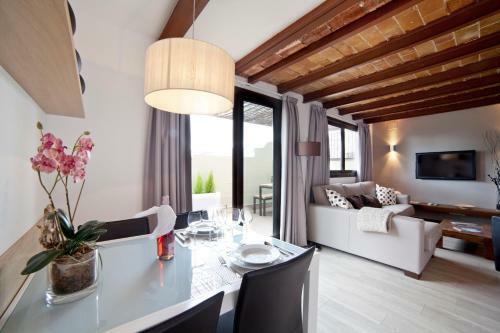 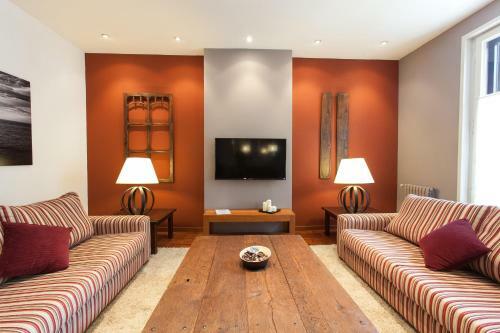 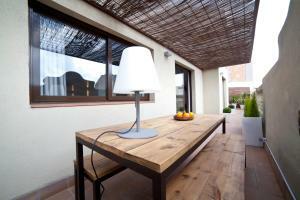 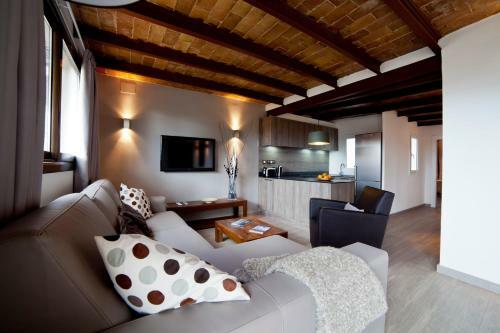 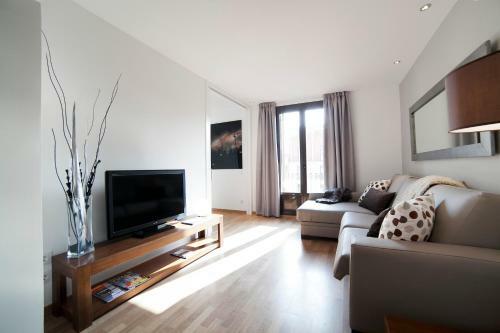 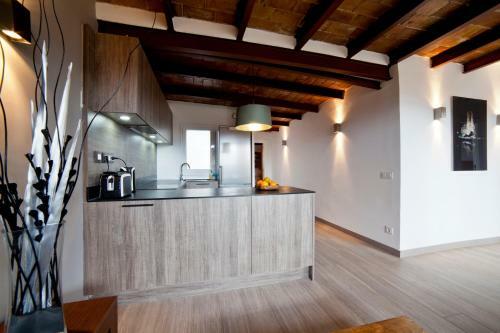 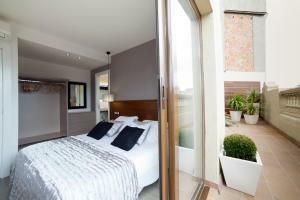 This stylish, air-conditioned apartment features a covered balcony, large windows and elegant wooden floors. 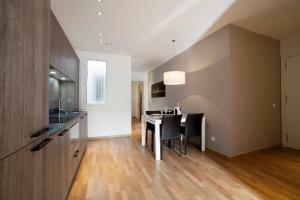 It offers 2 bedrooms, a bathroom and a sofa bed in the living-dining room. 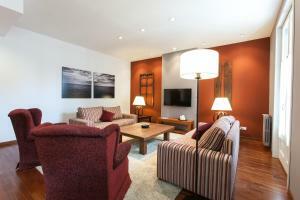 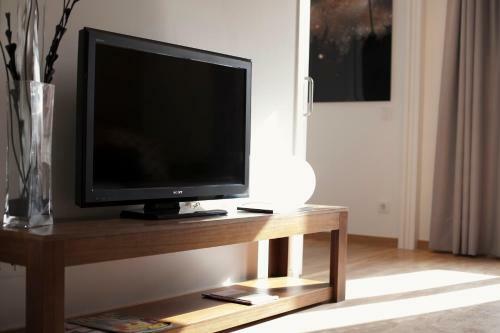 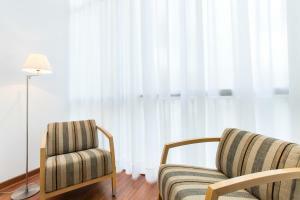 Free Wi-Fi and flat-screen satellite TV are included. 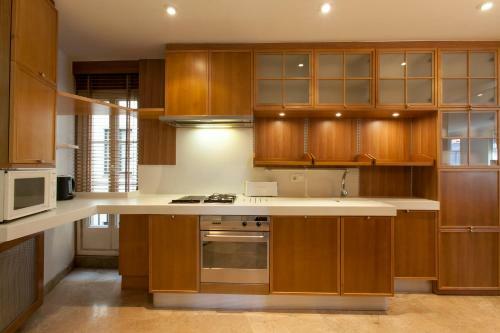 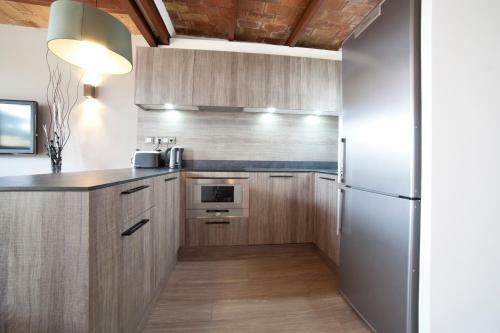 The kitchen comes with a microwave oven and ceramic hob, a dishwasher and a washer-dryer. 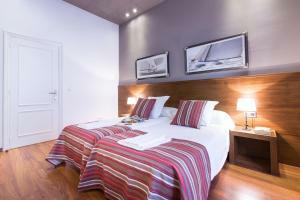 Rate: € 189.00 ... € 778.67; select dates below to get current rates. This stylish, air-conditioned apartment features a covered balcony, large windows and elegant wooden floors. 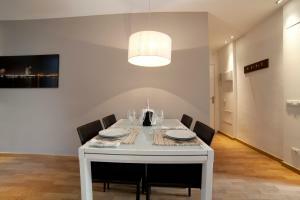 It offers 3 bedrooms, 2 bathrooms and a sofa bed in the living-dining room. Free Wi-Fi and flat-screen satellite TV are included. 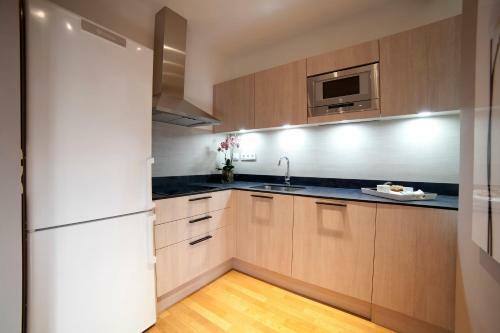 The kitchen comes with an oven and ceramic hob, a dishwasher and a washer-dryer. 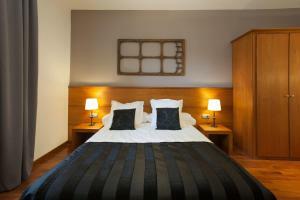 Rate: € 225.00 ... € 773.00; select dates below to get current rates. 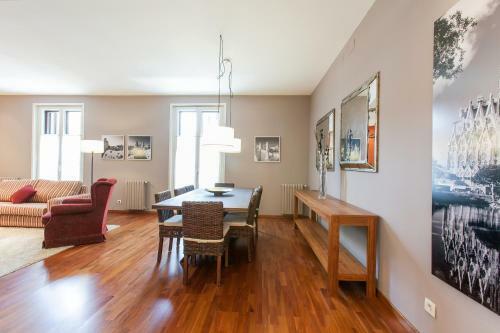 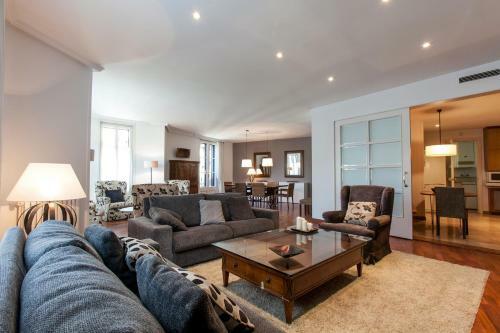 This stylish, air-conditioned penthouse apartment with large windows and hardwood floors has a 38 m2 terrace furnished with a table and lounge chairs. 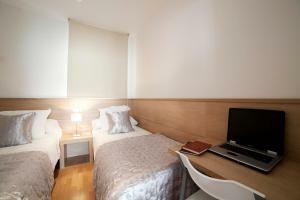 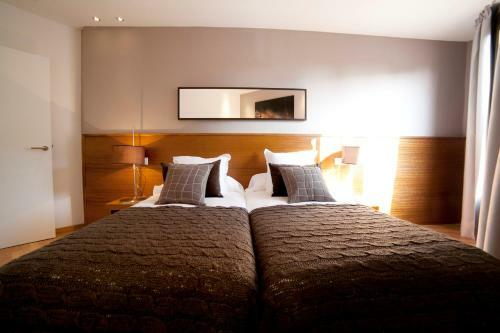 It has a double bedroom and another bedroom with 4 single beds, and there is a sofa bed in the living-dining room. 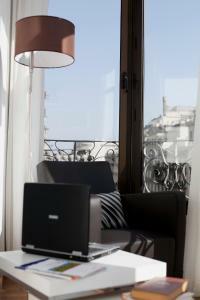 Free Wi-Fi is available throughout. 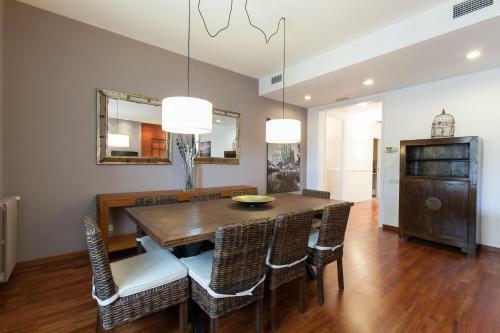 Address: Ronda Universitat 17, 2nd floor, door 4 Fitted with wooden flooring, this apartment comes with 1 triple and 3 double bedrooms. 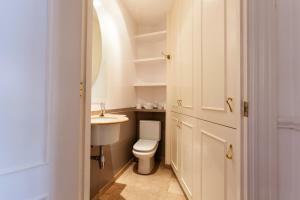 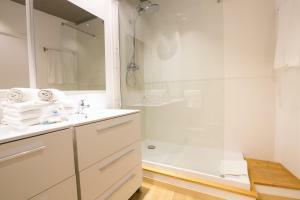 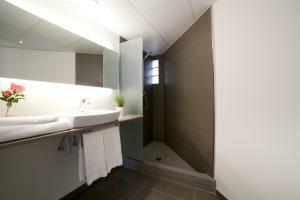 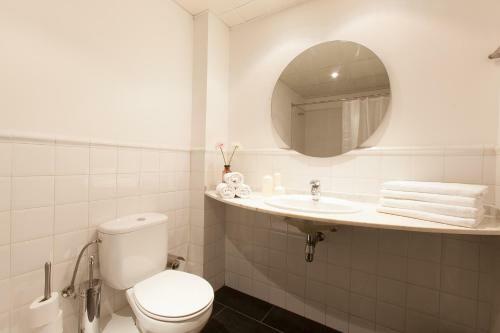 There are 2 bathrooms and the fully equipped kitchen includes a dishwasher, ceramic hob and oven. A washing machine and clothes dryer are also provided. 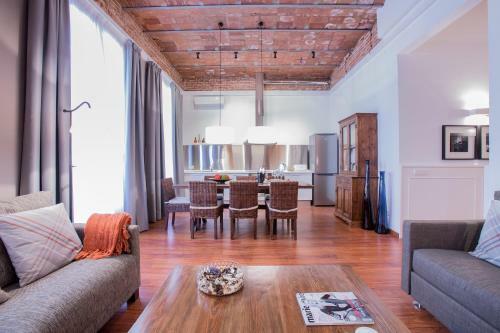 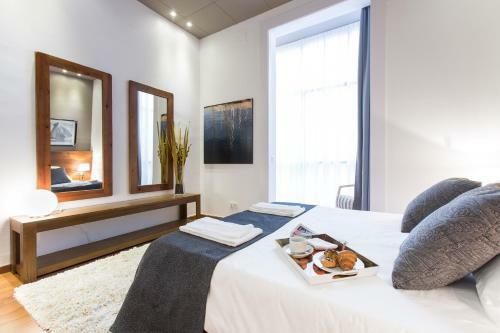 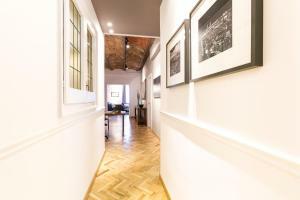 Address: Ronda Universitat 17 This 19th-century-style apartment features big windows, wooden floors and a fully equipped kitchen with dishwasher. 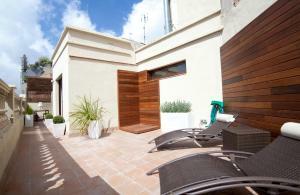 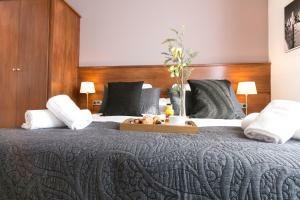 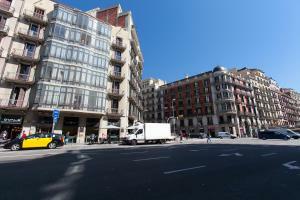 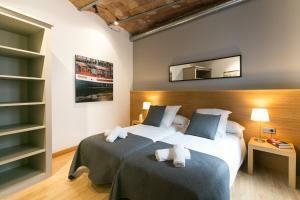 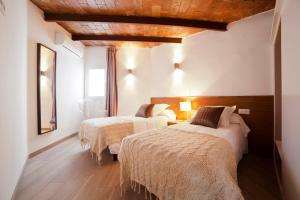 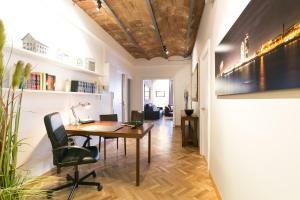 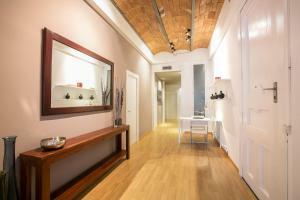 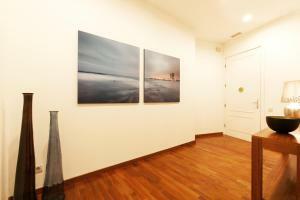 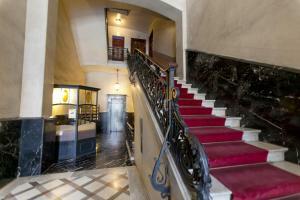 It is located 250 metres from Ramblas Street. 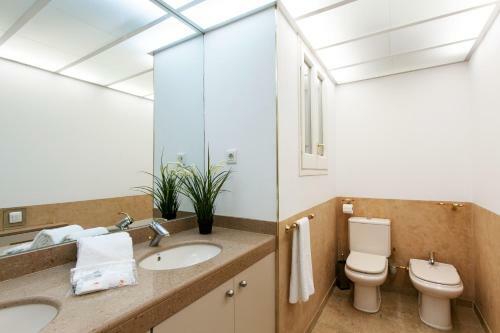 It has a dining area, 2 full bathrooms and it is well illuminated. 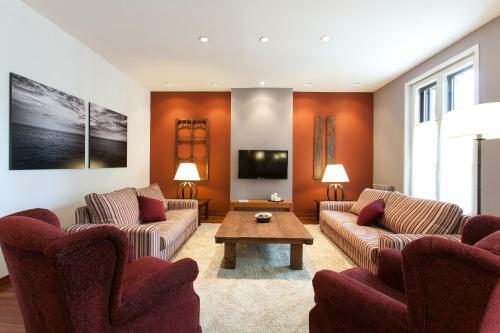 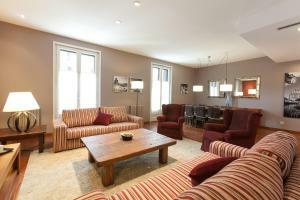 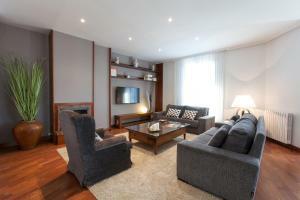 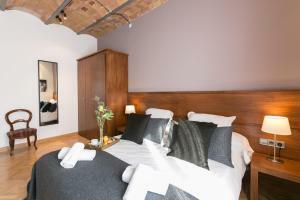 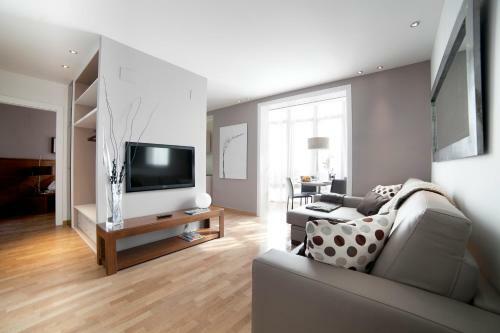 This soundproofed apartment offers 4 double bedrooms and a double sofa bed in the living room. 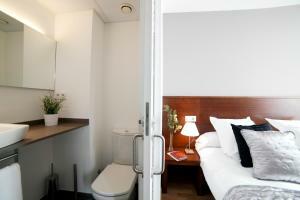 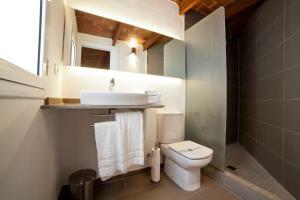 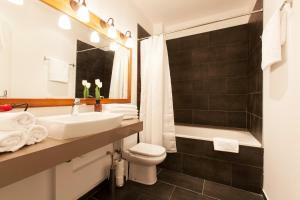 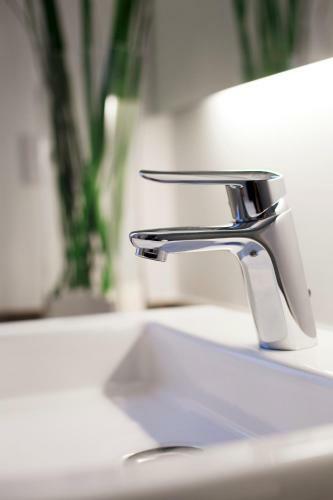 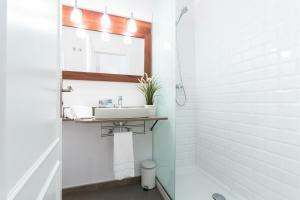 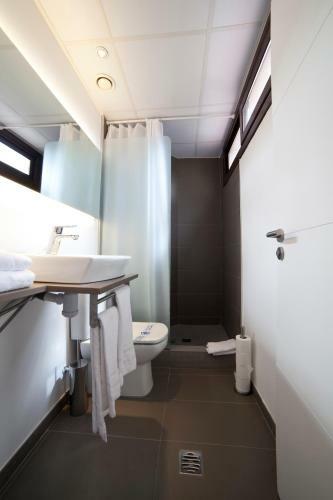 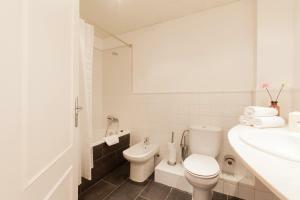 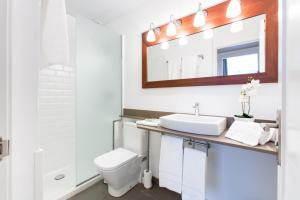 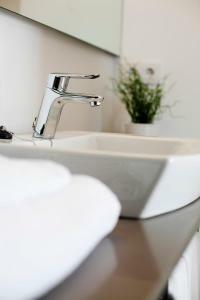 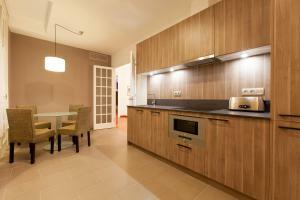 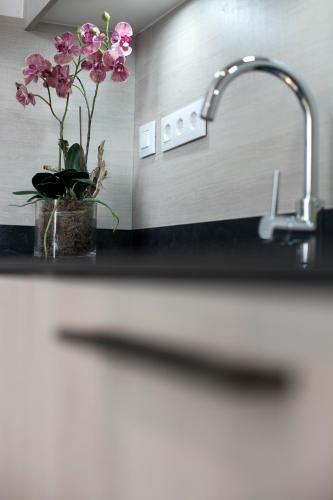 The kitchen is equipped with a dishwasher, oven and kitchenware; while the bathroom comes with shower and hairdryer. 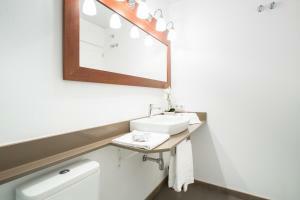 There is a washing machine, and a dryer is also provided. 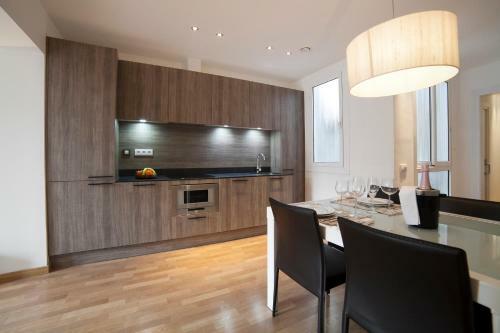 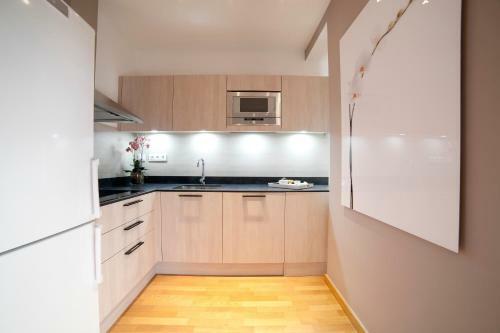 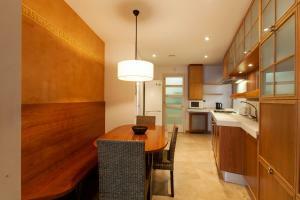 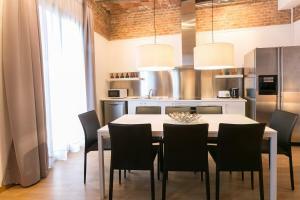 This apartment features a dining area, dishwasher and kitchenware. 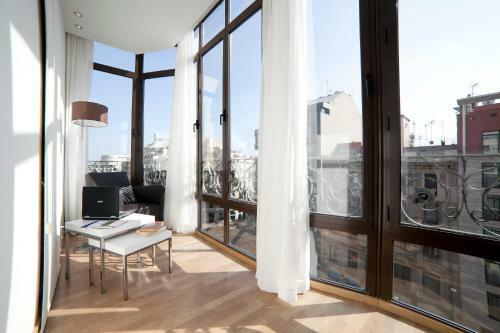 This apartment has a seating area, balcony and oven. Please note that this apartment does not have a lift. 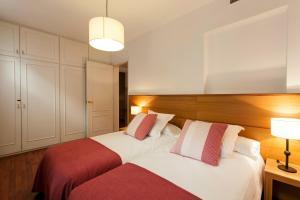 Rate: € 340.00 ... € 605.00; select dates below to get current rates.